Jude is responsible for relationships with our clients, growing their revenue and profile and building on her 25+ years of experience working with leaders in the healthcare sector. Jude is a strategic thinker. She leads the team, making sure that we deliver the most rounded holistic solutions. creating new opportunities for engagement in innovative ways. Michael advises on strategy and commercial partnerships. He draws on over 20 years of niche experience and has brought in significant income for UK and international organisations. He also offers direct experience incorporating CSR into clients’ activity, which forms the backbone of our Create4Good offering. For over 25 years he has held senior roles within the UK’s most influential scientific, medical and commercial institutions. His unique expertise is key to facilitating and fostering productive relationships that connect academic organisations, corporates and healthcare professionals. Rachel works with our clients and teams to craft partnership-focused strategies that fully engage the right markets and produce tangible, measurable benefits. She has managed communications, marketing and sales activity in the consulting and meetings industries since 1997. Julie educates our clients and their teams on best practice and requirements related to continued medical education (CME), continued professional development (CPD) and compliance. She also provides practical guidelines to encourage approaches to and from industry, and heads up our educational grants team responsible for securing event-related grant income. Marion works with our partnerships team to put in place the sales that generate income for our clients. 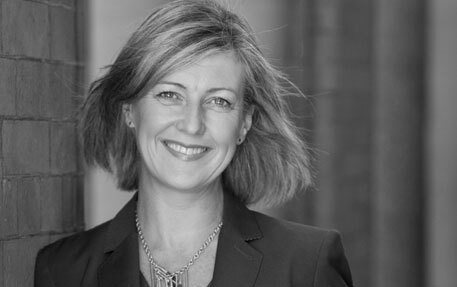 She draws upon over 20 years of experience delivering high-end events and has a proven track record developing successful commercial partnership programmes. Shahida is a core member of the partnerships team. She delivers sales and is responsible for the day-to-day communication with clients and their commercial partners. She has extensive experience in both the corporate and association sectors. Ali brings her extensive global logistics expertise to support Create4 in the development and delivery of CSR strategies and events for clients. She is an outstanding project manager, has worked on a variety of fundraising activities and is a strong advocate of sustainability and creating positive social and environmental impact. Less Talk, More Do is Anita’s guiding work principle. She specialises in event logistics and exhibitions: framework planning, venue liaison, time lines, event layout, infra-structure, equipment and services. Sharon supports our educational grants team. She is responsible for research, database build and data analysis, targeting the grantors most likely to support our clients’ work. She builds on 20 years of experience in the corporate and meetings supplier sectors where she managed projects, administration and support staff. Judith conducts research to identify key influencers working in core medical areas as part of the work we do for our clients. She has many years of experience delivering projects in the meetings sector including helping to build and coordinate the setup of city ambassador programmes. Emma works with our clients to oversee the delivery of successful events. She has delivered a wide range of congresses, exhibitions, AGMs and niche events for association and corporate customers. She is able to integrate the role events play in achieving strategic, business and personal goals. Samme supports our supplier clients by helping them to target new business sectors and fine-tune their marketing strategies. She also offers coaching for clients’ internal teams with a focus on sales. Samme is a senior business consultant and coach with over 25 years of sales experience and has worked with a range of venues, agencies and corporate organisations. We work with telemarketing agency The Call Business as a supporting partner on projects that have a requirement for research, lead generation, database creation, and appointment making on a large scale.